Buried deep in the stacks of Westminster Reference Library we uncovered the four volume set of the Vernon Gallery of British Art. This collection lists in delightful detail all of the 152 paintings donated by Robert Vernon on the 22 of December, 1847 to the National Gallery. Each work is shown in full detail with an accompanying description that helps to set the scene as to how the work was viewed at the time. 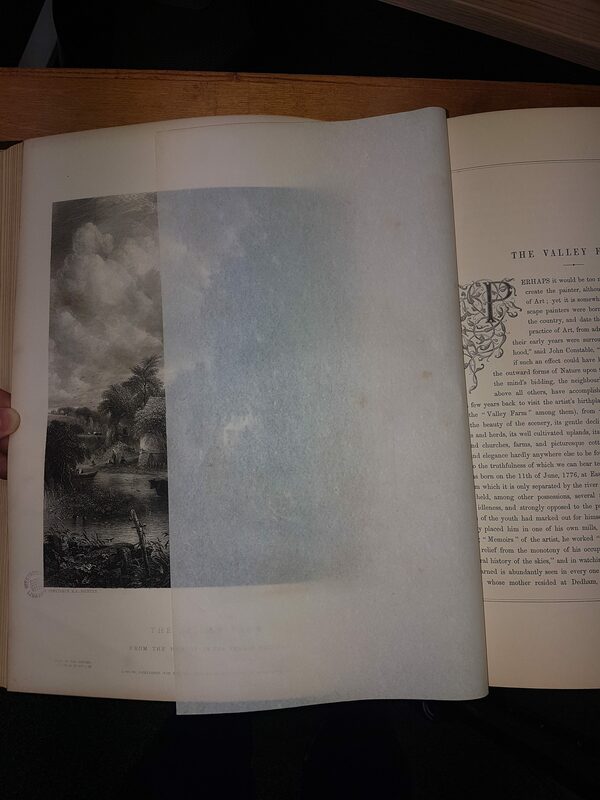 All of the images are preserved by a thin sheet of grease proof paper that ensures the fidelity is not lost. 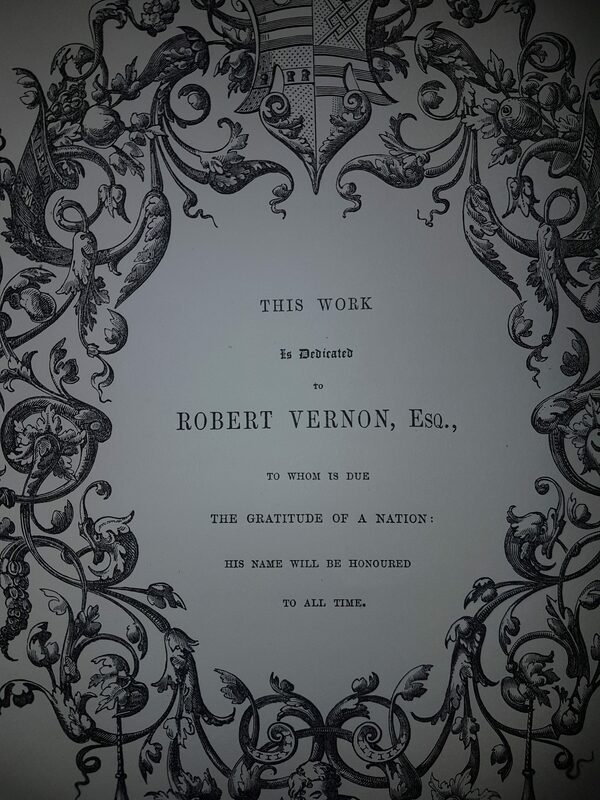 The collection donated by Robert Vernon consisted of works by notable artists of his time, such as Turner and Constable. It provided a huge boost to the then newly established National Gallery. While the works have since been split up and some now reside in Tate Britain the value of the collection still remains. Anyone is welcome to visit the Westminster Reference Library and staff are always happy to retrieve any books from our stacks. If you would like to see this set of books, please do visit us. This entry was posted in Books, Staff picks, Westminster Reference Library and tagged art, National Gallery, robert vernon, tate, Tate Britain, vernon gallery of british art. Bookmark the permalink.